An imam is an Islamic leadership position, often the worship leader of a mosque and the Muslim community. Similar to spiritual leaders, the imam is the one who leads Islamic worship services. More often, the community turns to the mosque imam if they have a religious question. In smaller communities, an imam could also be the community leader however most Imams are there for religious guidance. The Twelve Imams are the spiritual and political successors to Muhammad, the Prophet of Islam, in the Twelver or Ithna-‘ashariyyah branch of Shī‘ah Islam. According to the theology of Twelvers, the successor of Muhammad is an infallible human individual who not only rules over the community with justice, but also is able to keep and interpret the Divine Law and its esoteric meaning. The Prophet and Imams' words and deeds are a guide and model for the community to follow; as a result, they must be free from error and sin, and must be chosen by divine decree, or nass, through the Prophet. It is believed by Twelver Shi'a Muslims that the Twelve Imams were foretold in the Hadith of the Twelve Successors. It is believed in Twelver and Ismaili Shī‘ah Islam that ‘aql, divine wisdom, was the source of the souls of the Prophets and Imams and gave them esoteric knowledge called ḥikmah and that their sufferings were a means of divine grace to their devotees. Although the Imam was not the recipient of a divine revelation, he had a close relationship with God, through which God guides him, and the Imam in turn guides the people. 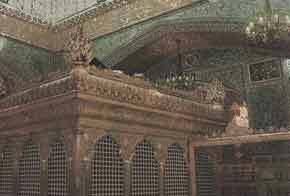 The Imam was also guided by secret texts in his possession, such as al-Jafr and al-Jamia. Imamate, or belief in the divine guide is a fundamental belief in the Twelver and Ismaili Shī‘ī branches and is based on the concept that God would not leave humanity without access to divine guidance. According to Twelvers, there is always an Imam of the Age, who is the divinely appointed authority on all matters of faith and law in the Muslim community. ‘Alī was the first Imam of this line, and in the Twelvers' view, the rightful successor to the Prophet of Islam, followed by male descendants of Muhammad through his daughter Fatimah Zahra. 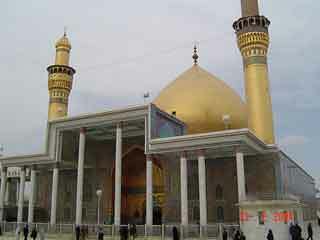 Each Imam was the son of the previous Imam, with the exception of Husayn ibn Ali, who was the brother of Hasan ibn Ali. The twelfth and final Imam is Muhammad al-Mahdi, who is believed by the Twelvers to be currently alive, and hidden until he returns to bring justice to the world. The First Imam: The Commander of Believers, Abul-Hasan, ALI al-Murtadha, son of Abu Talib, was born on the 13th of Rajab, 10 years before the declaration of the Prophethood (600 A. D.), INSIDE KA'BAH. He became Imam, on the demise of the Prophet on the 28th of Safar 11/632, and was fatally wounded by the poisoned sword of Ibn Muljam while engaged in prayers at the Mosque of Kufa (Iraq), and expired two days later on the 21st of Ramadhan 40/661, and was buried at al-Najaf (Iraq). The Second Imam: Abu Muhammad, AL-HASAN al-Mujtaba, son of Ali, was born on the 15th of Ramadhan 3/625 in Medina; martyred of poison on the 7th or 28th Safar 50/670 in Medina by the order of Mu'awiya. The Third Imam: Abu Abdillah, AL-HUSAIN, The Chief of Martyrs (Sayyid al-Shuhadaa), son of Ali, was born on the 3rd of Sha'ban 4/626 in Medina; was martyred with his sons (except one), relatives and companions, on the 10th of Muharram (Ashura) 61/680 in Karbala (Iraq) by order of Yazid (LA). 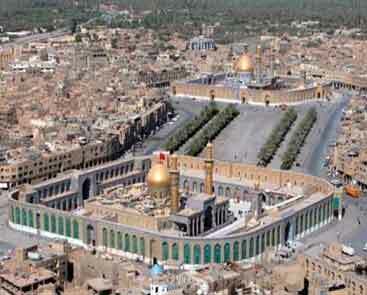 He and his elder brother, al-Hasan, were sons of Fatima, the daughter of the holy Prophet. The Fourth Imam: Abu Muhammad, ALI Zain al-Abidin, son of al-Husain, was born on the 5th of Sha'ban 38/659; martyred of poison on the 25th of Muharram 94/712 or 95/713 in Medina by the order of Husham Ibn Abdul-Malik. 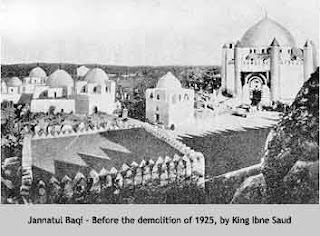 The Fifth Imam: Abu Ja'far, MUHAMMAD al-Baqir, son of Ali, was born on the 1st of Rajab 57/677 in Medina; martyred of poison by Ibrahim on the 7th Dhul-Hajja 114/733 in Medina. The Sixth Imam: Abu Abdillah, JA'FAR al-Sadiq, son of Muhammad, was born on the 17th of Rabi'ul-Awwal 83/702 in Medina; martyred there of poison on the 25th of Shawwal 148/765 by the order of al-Mansur. 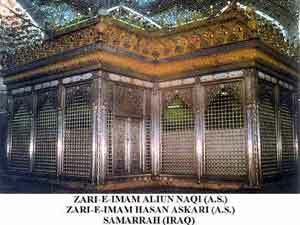 The Seventh Imam: Abul-Hasan al-Awwal, MUSA al-Kadhim, son of Ja'far, was born in al-Abwa (7 miles from Medina) on the 7th Safar 129/746; martyred of poison on the 25th of Rajab 183/799 in the prison of Harun al-Rashid in Baghdad and was buried at al-Kadhimiyya, near Baghdad (Iraq). The Eighth Imam: Abul-Hasan al-Thani, ALI al-Ridha, son of Musa, was born in Medina on the 11th Dhul-Qa'da 148/765; martyred of poison on the 17th of Safar 203/818 in Mash'had (Khurasan, Iran) by the order of Ma'mun. 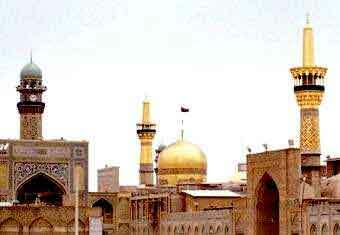 The Ninth Imam: Abu Ja'far al-Thani, MUHAMMAD al-Taqi al-Jawad, son of Ali, was born on the 10th of Rajab 195/811 in Medina; martyred of poison by the order of Mu'tasim in Baghdad on the 30th Dhul-Qa'da 220/835; was buried near his grandfather at al-Kadhimiyya. 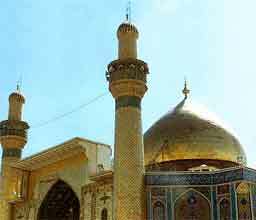 The Tenth Imam: Abul-Hasan al-Thalith, ALI al-Naqi al-Hadi, son of Muhammad, was born on the 5th of Rajab 212/827 in Medina; martyred of poison in Samirra (Iraq) on 3rd of Rajab 254/868 by the order of Mutawakkil. The Eleventh Imam: Abu Muhammad, AL-HASAN al-Askari, son of Ali, was born on the 8th of Rabi al-Thani 232/846 in Medina; martyred of poison by Mu'tamid in Samirra (Iraq) on the 8th of Rabi'ul-Awwal 260/874. 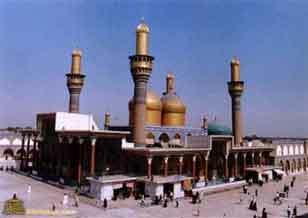 The Twelfth Imam: Abul-Qasim, MUHAMMAD al-Mahdi, son of al-Hasan, was born on the 15th of Sha'ban 255/869 in Samirra (Iraq). He is our present and alive Imam. He went into Lesser Occultation in 260/874 which continued until 329/844. Then the greater occultation began which still continues. He will reappear when Allah allows him to establish the kingdom of Allah on earth and to fill the world with justice and equality as it would be full of injustice and tyranny. He is al-Qa'im (the one who shall stand to establish the rule of Allah); al-Hujja (the proof of Allah over His creatures); Sahib al-Zaman (the master of our time); and Sahib al-Amr (the one who is supported by divine authority). Folks Please send me more info if you have.